Do you need to list your house after you’ve already moved out? Maybe you have an investment property that you’d like to sell that you’ve never even had furniture in. Regardless of your particular situation, let’s talk about how staging can help you get top dollar faster than if you were to keep it vacant. 1. Buyers need to be able to envision themselves in your home. Let’s face it – we live in the age of Chip & Joanna Gains and Property Brothers where buyers are binge-watching shows where these perfectly decorated homes are available to the masses. Even if you’ve renovated a home and picked finishes that would rival any Magnolia renovation, potential buyers need to be able to picture themselves in the home. How do you accomplish this? SHOW them where their couch and TV would go. SHOW them that a King-sized bed can fit in the master with a few other pieces of furniture. I can’t tell you how many times a buyer has said “well my *FILL IN THE BLANK* won’t fit in this room” and I’m thinking to myself “Yes it will!” Which leads me to…. 2. Rooms look smaller with no furniture in them. This is very important when we are talking about the living room and the master bedroom specifically. The most common 2 concerns buyers express to me while we are touring a vacant house are 1. their sectional couch fitting into the living room and 2. their king-sized bed fitting into the master. If you already have these things in the room, there will be no objections on this front to overcome. 3. Stagers have an arsenal of furniture and furnishings that are up-to-date with current decor trends. It’s really incredible how out-dated decor can detract from a buyer’s perception of a home. This is why staging has become so common among sellers. Even if a kitchen or bathroom need to be remodeled, staging with trendier furniture and furnishings can go a LONG way. 4. Staged homes sell faster than unstaged, vacant homes. A study done by Coldwell Banker showed that staged homes spend about half the time on the market than non-staged homes. And any agent will tell you – the longer your home sits on the market the further the price will come down in the end. 5. Staged homes sell for more than unstaged homes. According to a survey done by the National Association of Realtors®, agents stated that buyers will pay 1-5% more for a home that has been staged than they would for the same home that is not. To give you an example in dollars, 5% of $300,000 is $15,000. $15,000 more in your pocket! If you are thinking about selling and your home will be vacant, talk with your Realtor® about all of the benefits of staging. 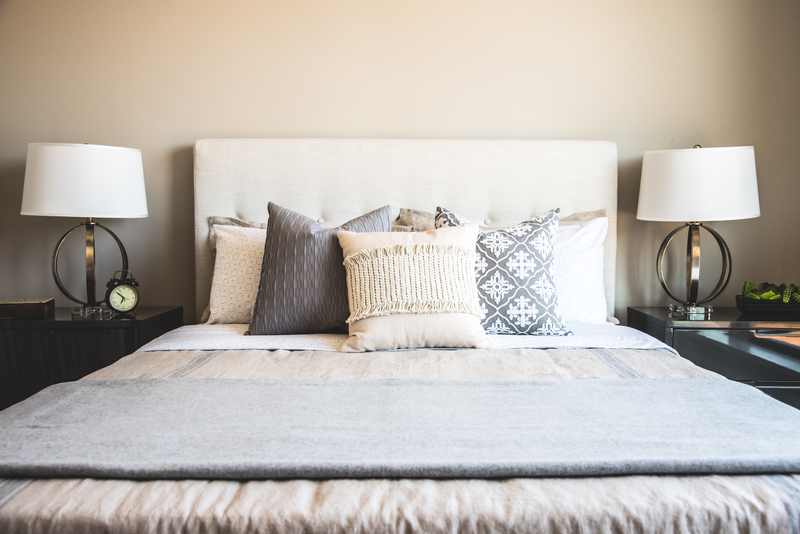 Even if you’re still living in the house, a stager can consult with placement of your existing furniture to make your home look the very best for potential buyers. And as always, if you’re in the Atlanta area and are thinking about selling, give us a call for a free consultation and market analysis!